One of the first decisions you make when you decide to buy a new hot tub is Best Place to put your new hot tub. You actually need this information almost before you start shopping for a new hot tub. Hot Tubs are big, heavy, and awkward to move so the placement of your hot tub or swim spa should be pretty well its permanent home. The top things to consider is the what kind of spa is it and the area needed to house the new addition. Proximity to the house is important wanting to be close not only for the trek out to the hot tub in the winter, but for the cost of the electrical hookup. It really goes without saying the location of your hot tub or swim spa is a critical element in your hot tub purchase. What Kind of Hot Tub or Swim Spa? Like we mentioned in the opening the space you have is going to dictate what kind of Hot tub or swim spa you purchase. Smaller backyards which seems to be the new norm in urban communities will lend themselves to six man spas or less so you can create other areas to sit in your backyard. If space is not an issue then you have the luxury to select a hot tub or swim spa that more suits your hydrotherapy needs and bather load requirements. As far as what brand of hot tub to select look at our top 20 hot tub brands to give you some insight. There are so many good hot tub and swim spa brands out there so there is a lot of choice for hot tub buyers. If you’ve gone with an indoor spa, there usually aren’t too many other choices for the best place to put your new hot tub. Few of us have more than one suitable place in our houses. The two biggest factors in indoor spa placement are drainage and ventilation. Spas need to be drained every three to four months, and they produce a lot of steam for an indoor environment. A room for an indoor tub needs adequate ventilation and drainage to accommodate both types of moisture. Having said that the most popular location for hot tubs and swim spas today is in the backyard. 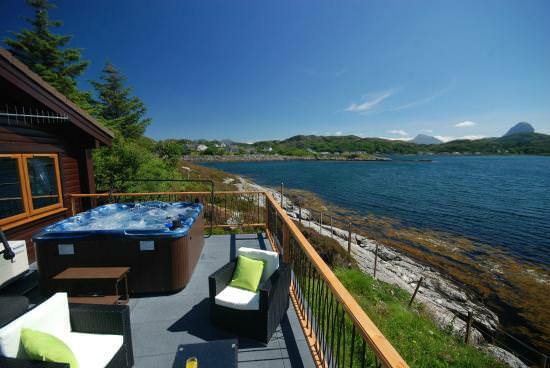 The outdoor air the natural environment lends itself to an amazing hot tub experience. The one thing to consider for an outdoor hot tub or swim spa is the location in proximity of the house. 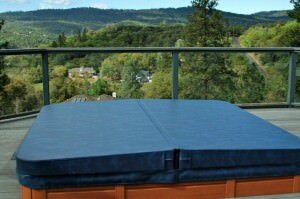 There is three key elements in your decision on outdoor hot tub placement. The distance you have to travel to and from your hot tub. Consider this especially in cold snow winter areas. You will need to shovel a path and keep relatively warm to and from the hot tub. Ongoing maintenance of your hot tub, keep your hot tub close to water source so you can replenish the water throughout the year. The cost of installation. The further you are away from your home the more expensive your installation of your hot tub or swim spa will be. 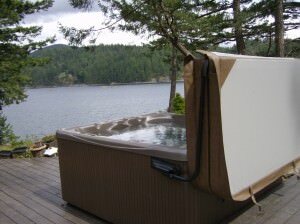 Hot Tubs need to be placed on an appropriate surface. When full, a hot tub can weigh over 4,000 pounds. A level surface of reinforced concrete is best, although there are other solutions. Wherever the hot tub goes, you’ll need to be able to create a suitable surface for it. 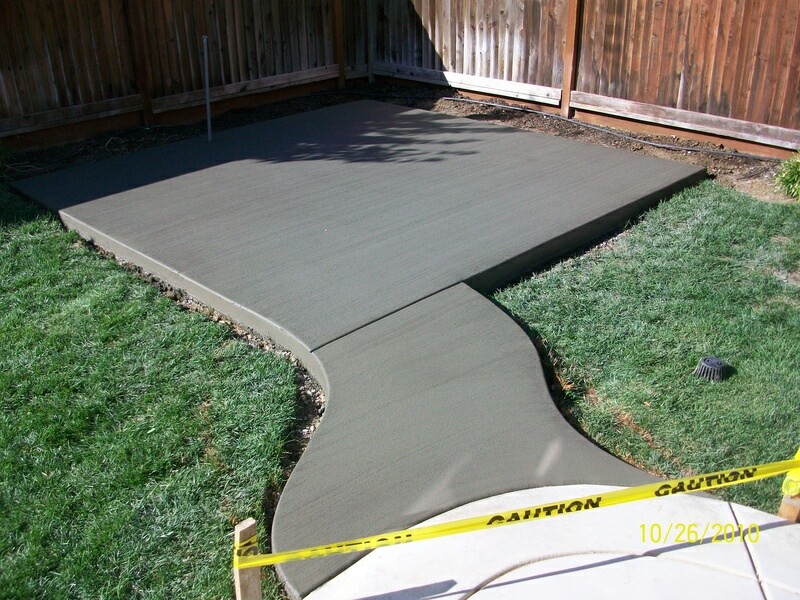 Outside of concrete one of our favorite solutions is EZ Pad from confer plastics. So make sure that the area you are putting your new hot tub or swim spa is level and that you can create a solid base for it. What will the main use of the spa be? Is it for quiet relaxation? For partying with pals? To treat chronic injuries? The main use of the hot tub will influence your choice of location and the best place to put your new hot tub. If relaxation is key, a screened in area with privacy would be a good idea. Hydrotherapy would suggest ease of access is important. Boisterous fun with friends and family means putting the tub in a more central location. If you plan to use the tub in all seasons, and you live in a location that experiences winter, you’ll also want to think about how far away the hot tub is from the house. It’s hard to enjoy a soak when you know it will be followed by a long, freezing dash to the back door. Whether you plan to use your spa as a relaxation tool, a hydrotherapy device, a party platform, or some combination of them all, aesthetics matter. Think about how the tub will look from various parts of the house and yard. Think about the best place to put your new hot tub. Consider your view in all seasons, not just the current one. It can be tricky picking the perfect place for your new hot tub. If you can tick off most of these boxes, though, you’ll be most of the way there. Hopefully we have shed some light on Best Place to put your new hot tub and the top things to Consider when placing your hot tub.